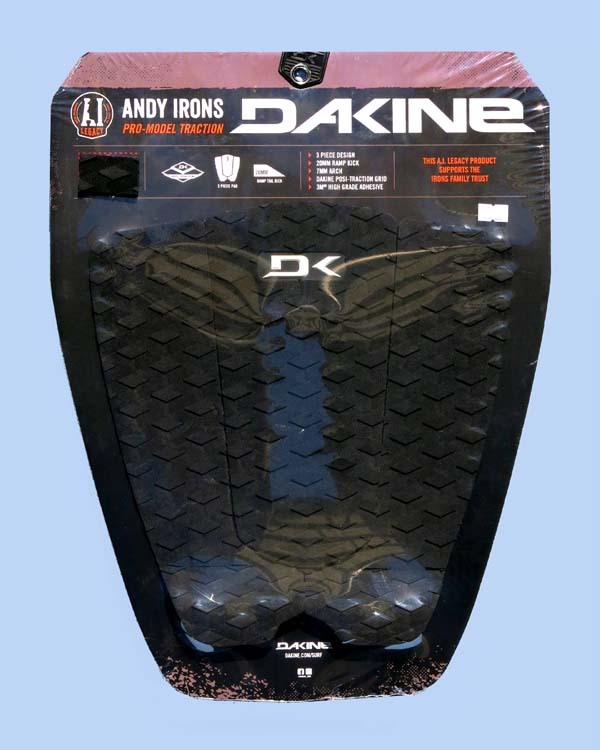 The ANDY IRONS PRO PAD by Dakine. SIZE: 11.5" wide by 12" tall, with 0.75" kick. COLORS: All Black, Grey/Black Camo.